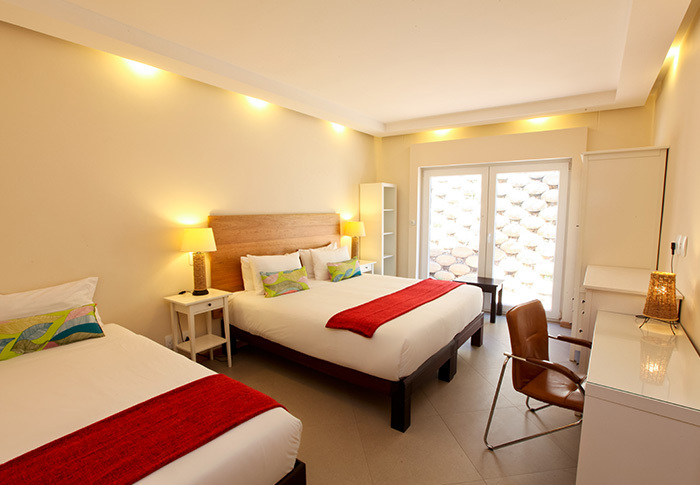 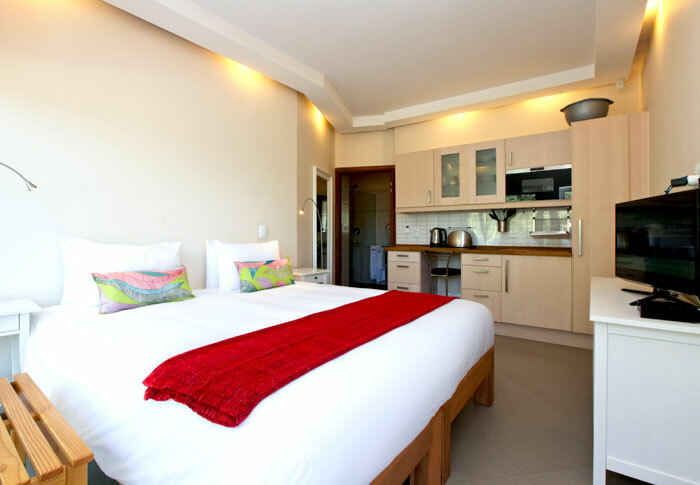 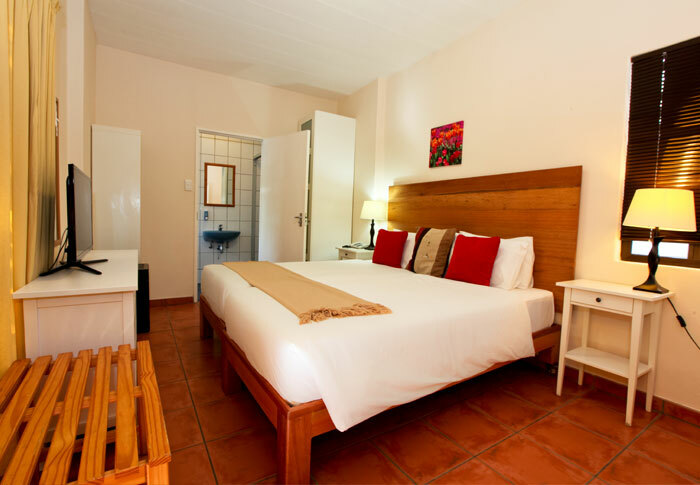 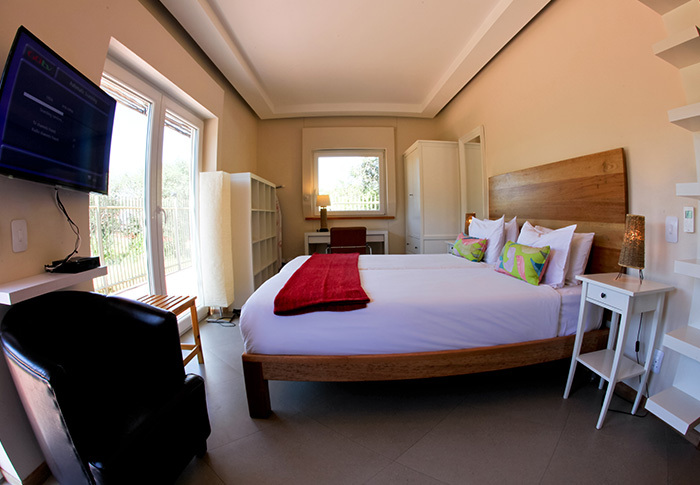 A medium sized room with a king-sized bed and comfort mattress, ensuring a restfull sleep. 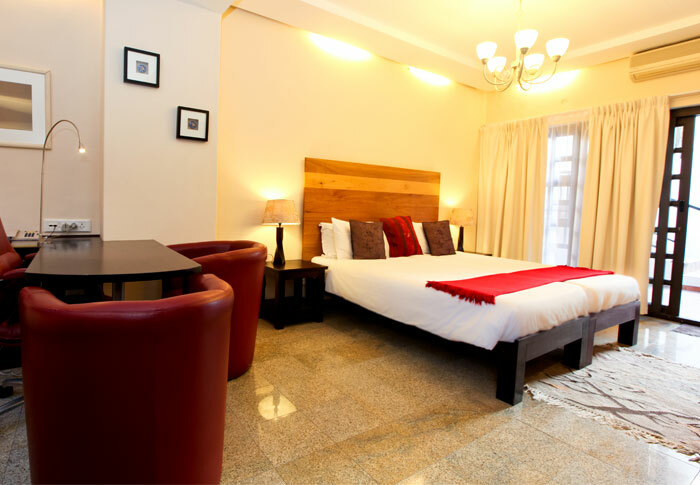 The room is equipped with a 40” smart TV (Satellite Bouquet), A/C, Security safe, hair dryer, work desk and tea coffee station. 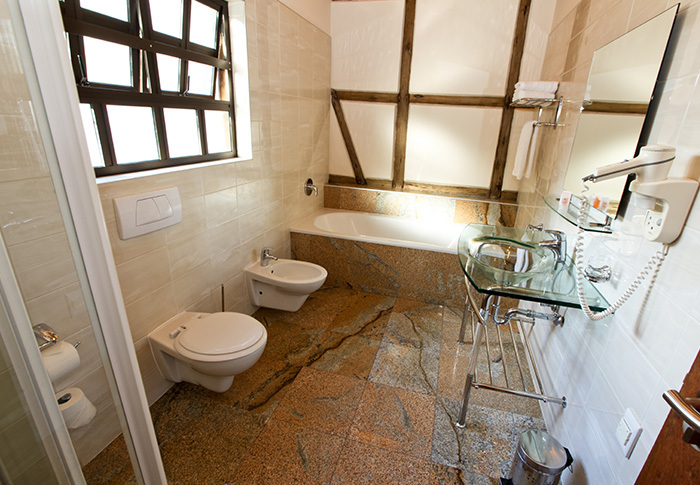 The bathrooms are en-suite with a bath and shower. 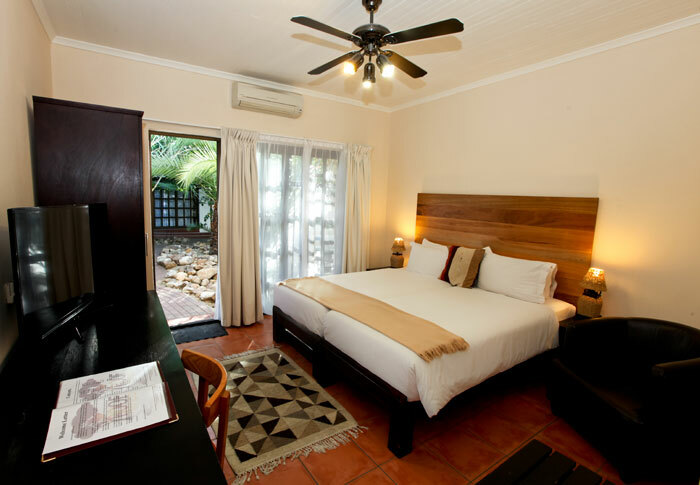 Some deluxe rooms have balconies overlooking the pool area perfect to relax with a book on.